Our goal is to provide a high return on investment by identifying, meeting, and exceeding our clients’ security, investigation, training, and consulting expectations. AEGIS deploys a multi-functional web-based command and control system supported by dedicated managers capable of remotely scheduling, briefing, training, GPS tracking, and managing our field personnel. With not only industry, but niche market expertise, our management team leads from the front – not only directing staff, but exemplifying the traits and qualities we expect from every member of our team. AEGIS Security & Investigations provides a higher caliber service focused on our clients’ hierarchy of needs. With a base of prevention, our team manages incident response, customer service, hazard mitigation, and business continuity. They are responsive and professional. We have used other security services in the past and felt uncomfortable with the quality of guard that was provided. When AGEIS showed up, the team looked the part and provided excellent service. They made rounds, checked in, and notified us immediately if anything seemed out of the ordinary. If you’re looking for a company that is going to step up to the plate and make you feel and good look no further than AEGIS. I have a retail store and we had an internal theft that “inspired” me to call Aegis for a security consultation. They were a god send! Jeff spent the day with us, reviewing our operations and making suggestions to improve our security. Surprisingly, he turned out to be a great resource for a lot of other aspects of our business too. He was smart and very personable. And it helped that he had a good sense of humor. Since then we’ve used Aegis for random security questions and background checks and they’re always professional, quick to respond, and honest. It is rare that a service provider invests the time up front like they do, to not only convey the appropriate level of information, but to do so with such thoroughness and completeness. Most companies just want you to call, they list some options, and then you pay, without offering you all options and explaining well. Aegis is certainly different. With expertise in a variety of security operations from professional security officers and loss prevention teams to estate and executive protection agents, we have the capability to manage a variety of security projects. Incorporate our investigation, training, and consulting services and clients have a broad spectrum, full service, comprehensive solution. Many companies rely on broad recruiting and staffing techniques that result in less than desirable staff. Our team is hand crafted with an emphasis placed on internal referrals, industry contacts, and networking. The result is hand picked security teams across our broad spectrum of clients. AEGIS’ goal is to meet and exceed our clients’ expectations, not to win the lowest bid or make the highest amount of profit. Most clients source security firms looking for traditional bids in which they compare how much a company charges to what the company provides. If it fits within their budget, they sign a contract with that company. In comparison, companies traditionally quote the highest price they think the client will accept while providing the least expensive staff and service a client will accept to maximize profit. These philosophies are counter-intuitive, as clients are looking for the highest quality service they can get for the price and companies are looking to maximize profit with the lowest quality service they can provide while retaining a client. We approach this concept differently. We work with our clients to maximize their budget to provide the highest quality officer we can provide without compromising quality, attention to detail, or long term ROI. Some clients need the flexibility to scale up and down with the seasons, as customers ebb and flow, or as threat profiles change. With AEGIS, scaling up or down is easy. Simply request the changes with our management team. If the changes falls within acceptable risk standards, we will oblige. If they don’t, we will let you know and work with you to achieve your goals. 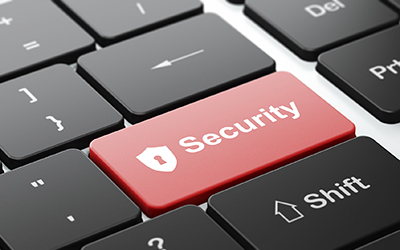 Don’t have time to manage your security services directly? We’ll supply on or off-site operations management support to help guide you to make decisions in accordance with best practices, providing full transparency throughout the process. 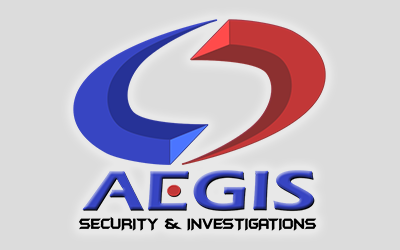 AEGIS Security & Investigations specializes in high-end security, investigation, training and consulting solutions. Our methodology is simple. Our team is built on professionalism, autonomy, and reliability, translating to a superior service our clients respect and appreciate. Utilizing a preventative as opposed to reactionary philosophy, AEGIS fosters a proactive management style for every client, allowing us to respond quickly to their ever individual changing needs. Our company is headquartered in Los Angeles, providing services locally, nationally and internationally. AEGIS is your choice for the best security company and private investigator in Los Angeles.